Iron Antler Books, 9780997889956, 480pp. Reunited safely in Panar, Miara, Aven, and their friends have conquered more obstacles than they thought possible. The Akarian Assembly has accepted Aven and his magic--and Miara as his queen. But the problems for Akaria and its freemages are only beginning. One ally has vanished. Another teeters on the edge of death. And a third will face a choice between duty and love. Meanwhile, the Dark Master has marshalled the combined power of Mage Hall and Kavanar's army. 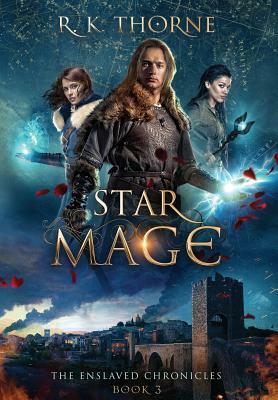 He's closer than ever before to his goals: destroy the star mage and his magic, recapture those who've escaped, and seize all of Akaria for himself.